Do you want to see a form side by side with your mail? 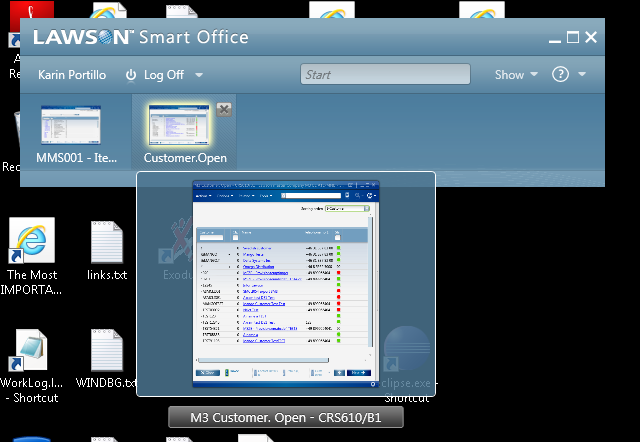 We bring you Infor Smart Office mini-mode! Seeing a form side by side with another Windows program such as you mail client has up until now only been possible for those of you with two screens. The Canvas has been your desktop, in Smart Office 10.0.4 we introduce Mini-mode. 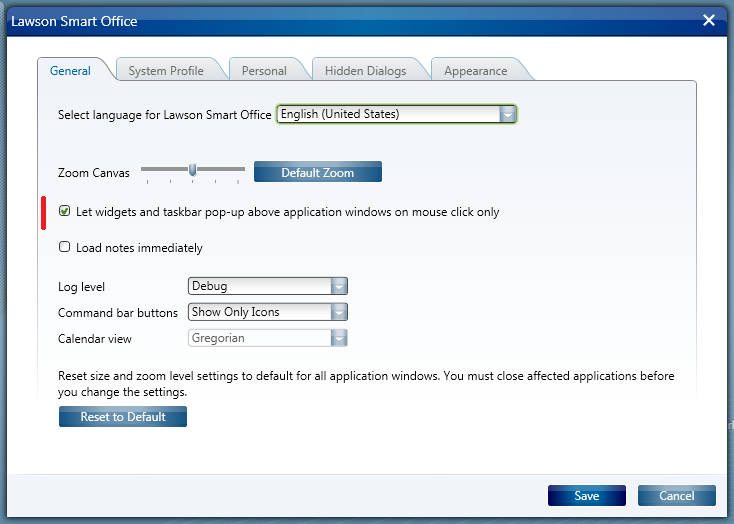 Mini-mode is a way to run Smart Office but without the Canvas, just focusing on the applications. 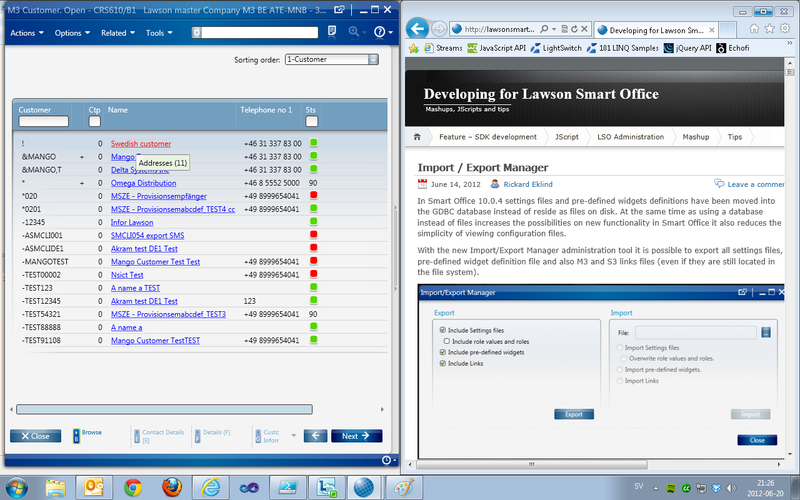 This is the view of Smart Office in Mini-Mode. You switch to mini mode by selecting to restore/resize the Smart Office canvas window. 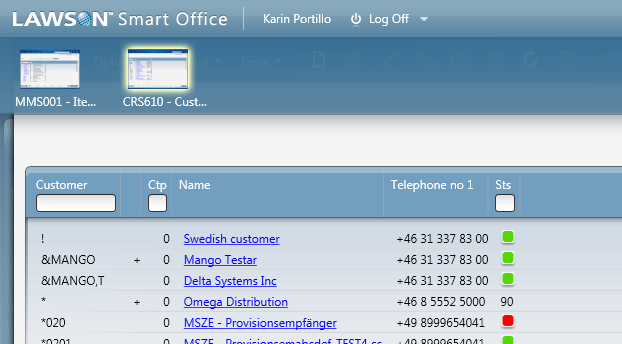 The Smart Office Canvas is very central. When we worked with Frog Design on the design the notion of “popping” widgets was very important. A popping widget is when the widget pops over a window. You should also be able to quickly smash the mouse cursor to the side and force the widget to pop when the application window was in a full screen. You can’t implement this type of behavior with ordinary windows, nor could we have the smooth rounded edges on the windows as we wanted to. Design does matter and we pay a lot of effort into details. The taskbar can also hoover over any of the open application windows. As it turned out a lot of popping was taking place when you just wanted to move the window. Especially concerning the taskbar. So we introduced a new setting that would require you to click to get the popping effect. As for those of you that have the benefit of using two screens it is possible to “detach” a window from the canvas (in previous versions as well). Once detached you can use the keyboard windows key and arrows to move it around or move it with the mouse. We have listened to your feedback. Mini-mode is also a result of that. Mini mode will allow the majority of you with a single screen or a laptop to be able to work in a form / function while having another program side by side. Please note that not all behaviours will be exactly the same in minimode as when you run the full Canvas. The full Canvas mode is still the way most users prefere Smart Office. If there are issues with mini mode make sure that you are on version 10.0.5. Even if the funtionality was released in 10.0.4 we have added functionality and fixed glitches that was not in the scope for the 10.0.4 release. Please note, MiniMode is only supported on Windows 7 or higher. This entry was posted in Tips and tagged Canvas, Mini mode, window handling on February 12, 2013 by Karin Portillo.